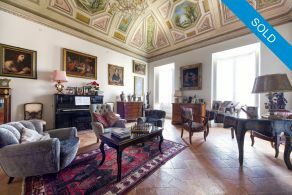 Just an hour’s drive from Rome (90 km), in the hills of southern Umbria, lies the picturesque city of Amelia, an architectural gem with a thousand years of history. 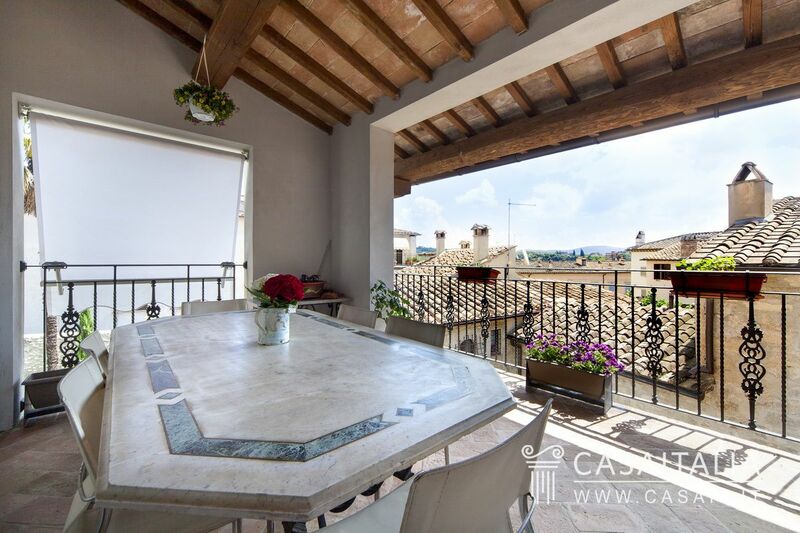 The historic centre, protected by a long and imposing surrounding wall with 4 ancient gates, is full of monuments and remarkable 14th and 15th century palazzos. 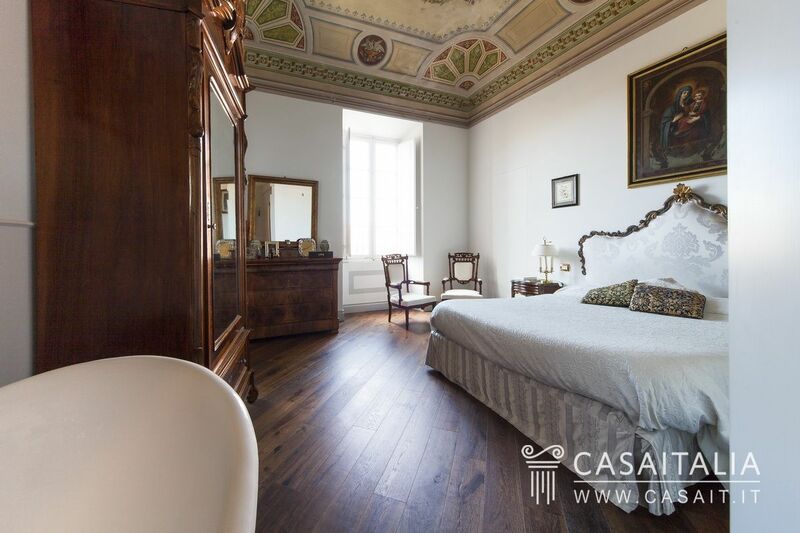 L’Appartamento Nobile is on the second floor of one of these palazzos, recently restored and just 150 metres from the city’s main gate, which has plenty of convenient, free parking nearby for potential guests. 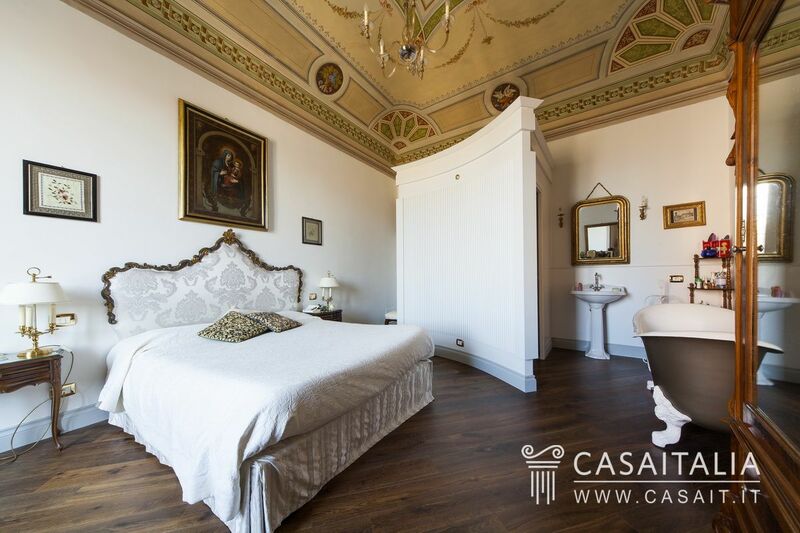 Situated on Via Amerina, one of Umbria and Central Italy’s main arterial roads until the Roman period, Amelia is only half an hour’s drive from Terni (24 km) and 20 minutes from Orte (15 km) and Narni (14 km). 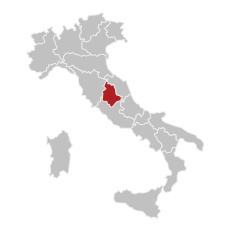 The nearest airports are Rome Ciampino (107 km) and Fiumicino (124 km) which are around an hour and a half away. 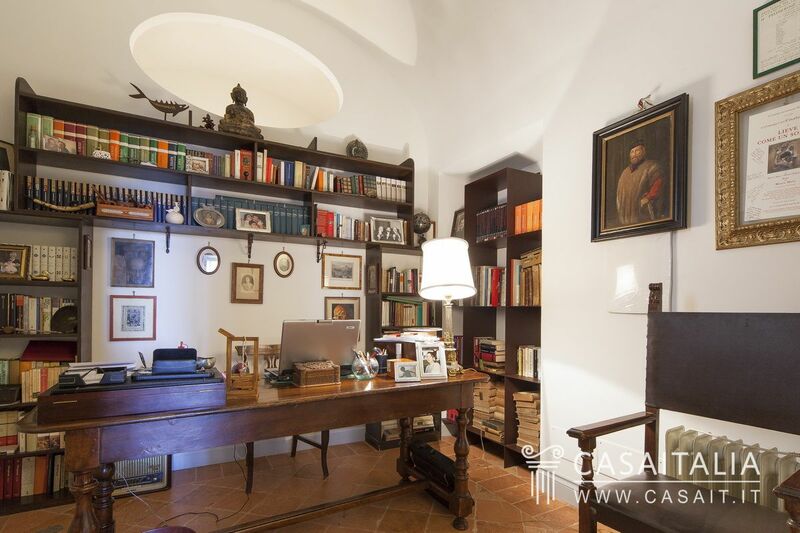 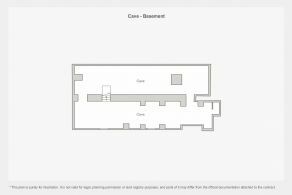 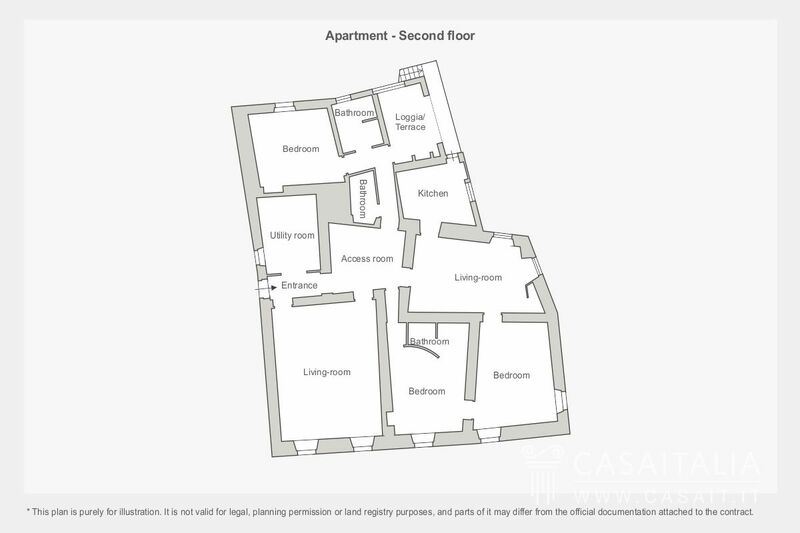 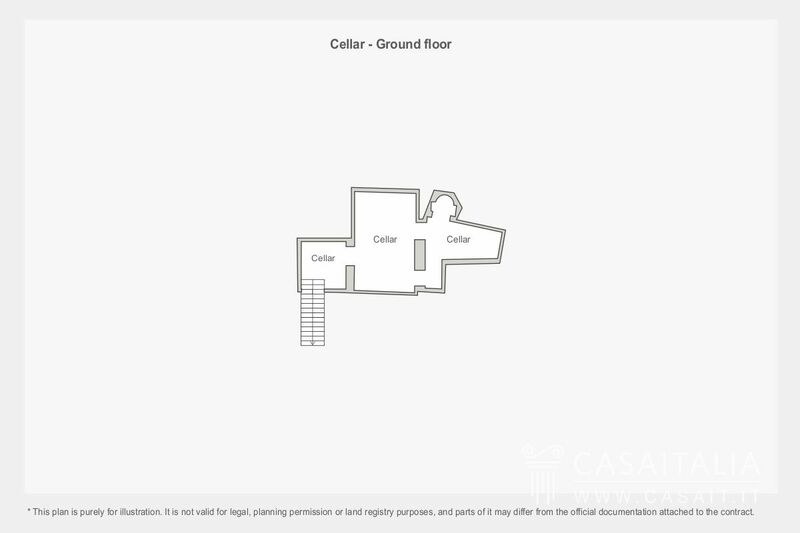 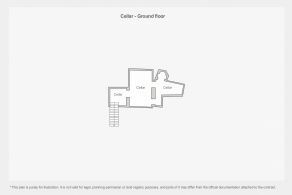 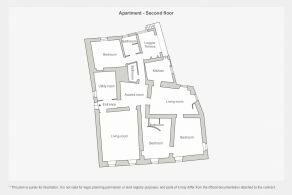 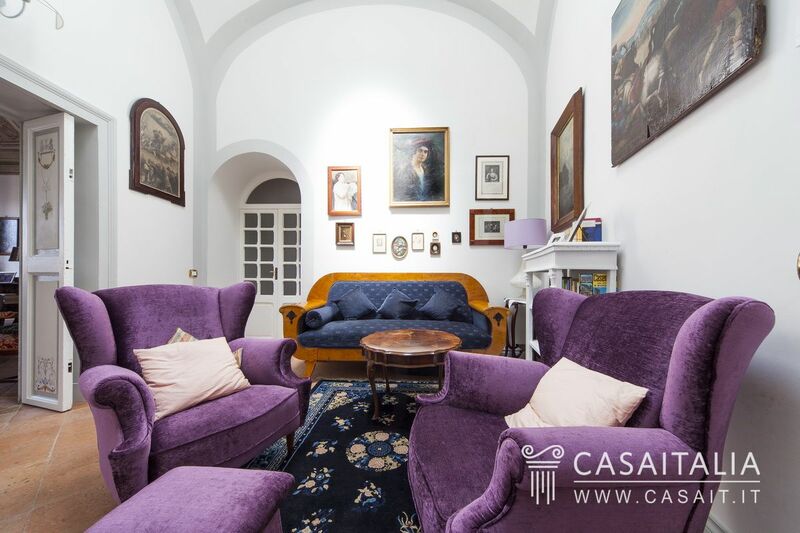 The apartment measures around 264 sq.m in total, with the addition of a pleasant loggia measuring 16 sq.m, some storerooms measuring 40 sq.m in total on the mezzanine floor and the cellars and old caves on the ground floor and basement floor measuring around 245 sq.m in total. The interiors are bright and spacious: a sequence of elegant, sophisticated rooms, most of which have vaulted and frescoed ceilings. 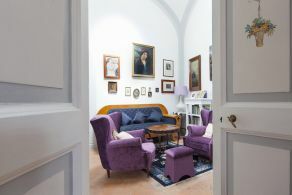 The apartment comprises a large drawing room with fireplace, the dining room, also with fireplace, the kitchen with access to the terrace overlooking the city rooftops, a sitting room, the master bedroom with spectacular en suite bathroom with standalone tub, another two large double bedrooms, two bathrooms and a den. 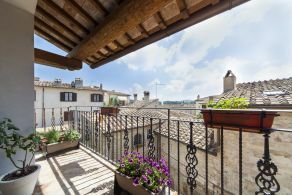 From the terrace a small outdoor staircase leads first to the mezzanine floor, where there are storage spaces measuring 1.6 metres in height, and then, across a private courtyard to a second entrance to the property. 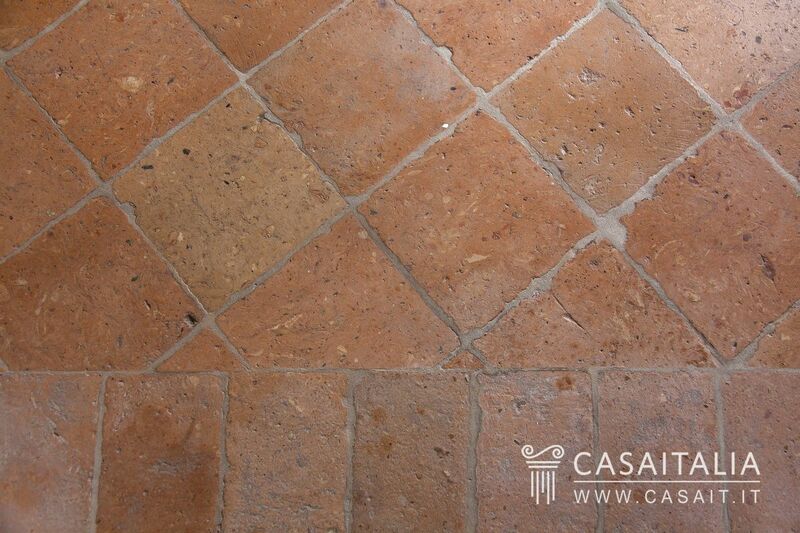 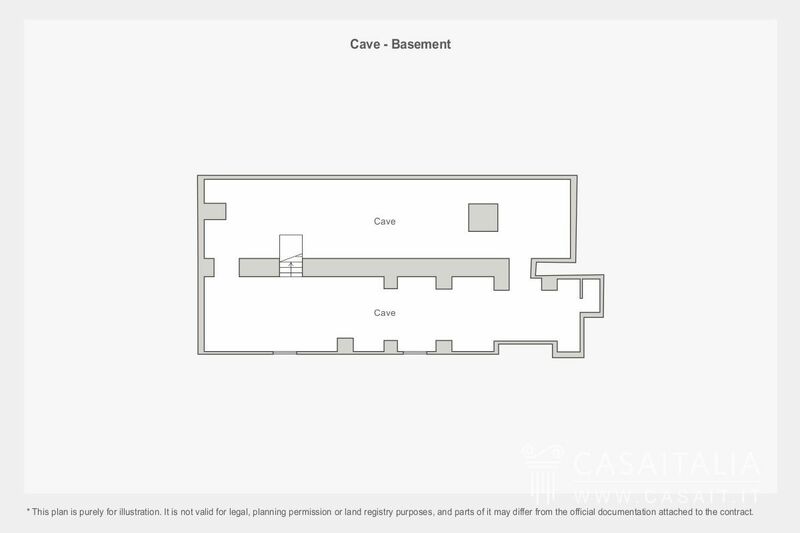 From the palazzo’s main entrance, it is possible to get into an internal courtyard where there is access to the cellars on the ground floor, measuring 45 sq.m in total and from here, to the underground caves measuring around 200 sq.m. 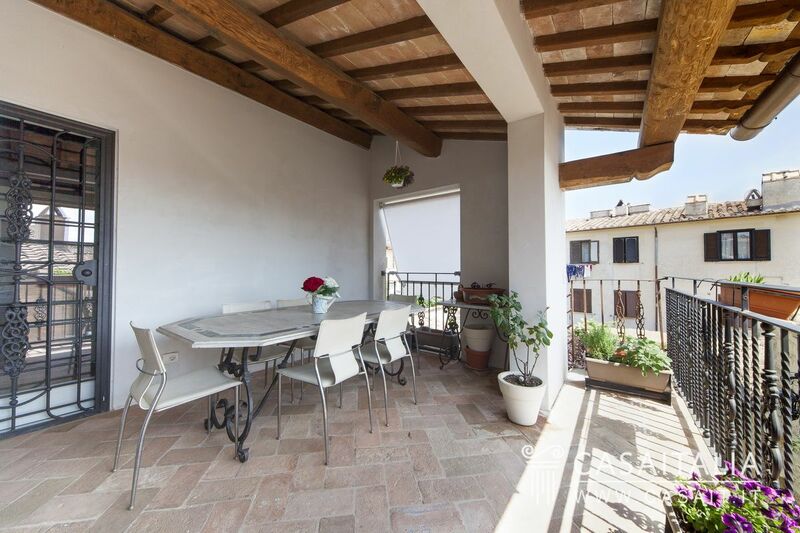 The property is completed by an outdoor space measuring around 56 sq.m, situated on the pedestrian street and currently used as a business which generates a small monthly income. 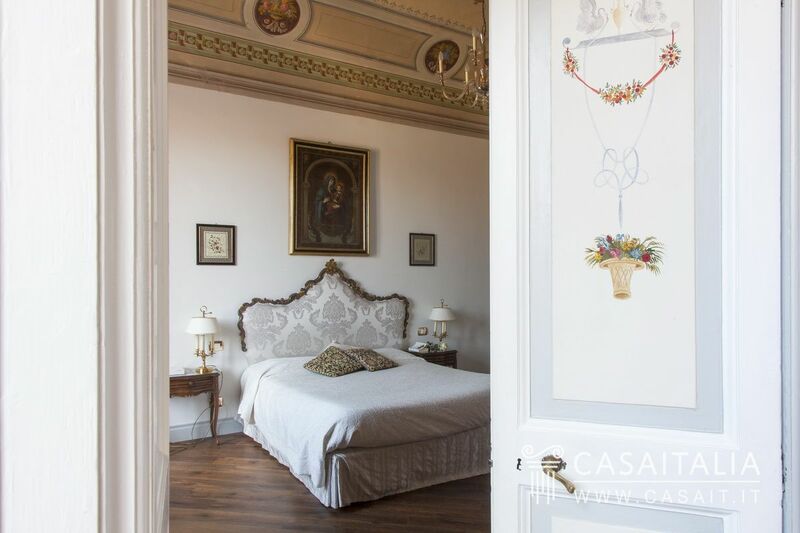 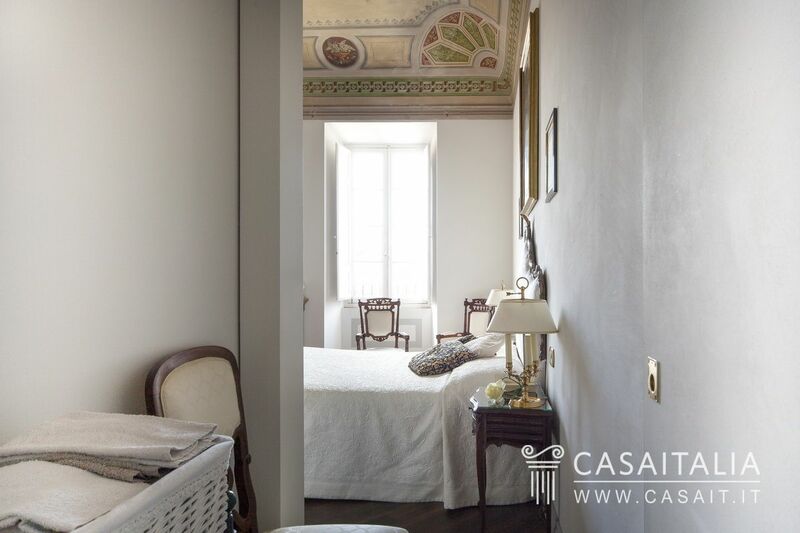 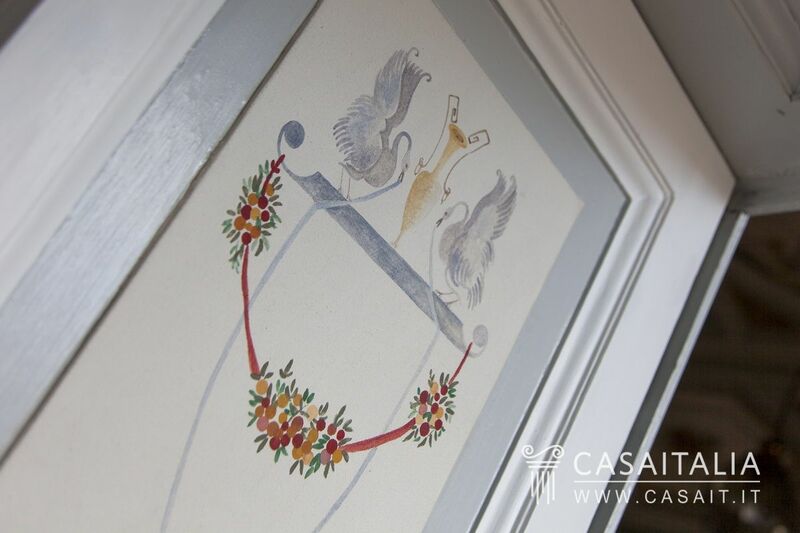 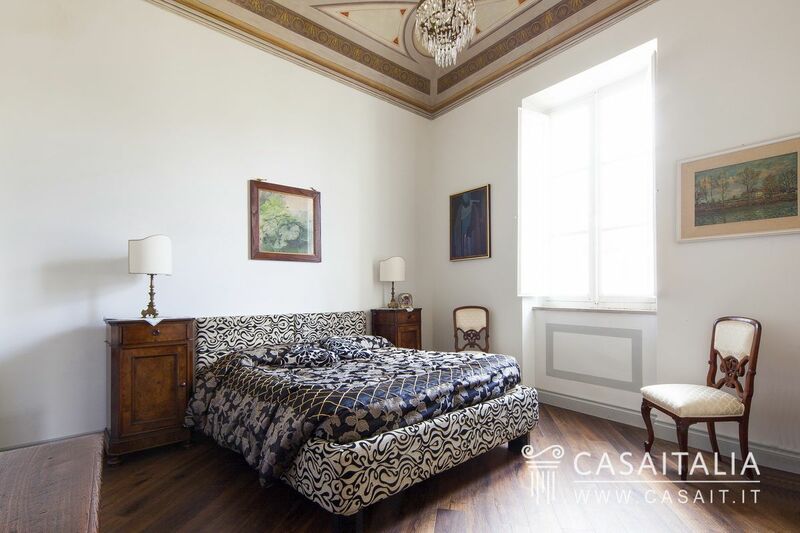 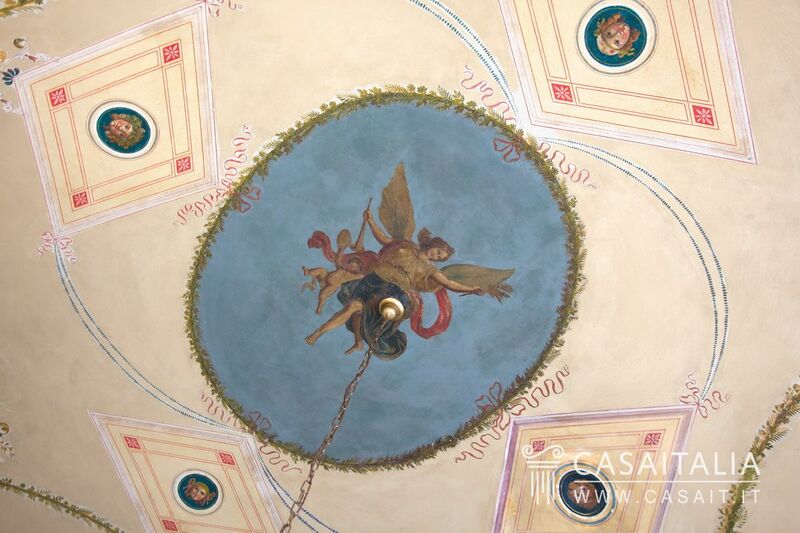 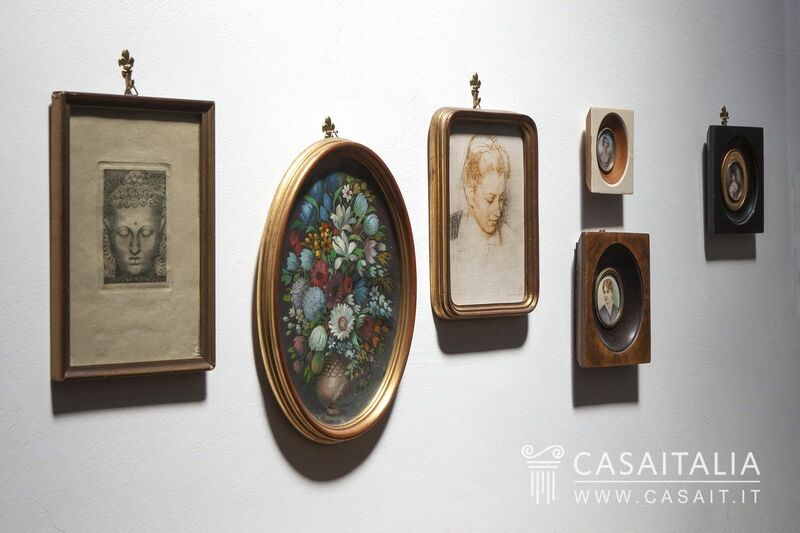 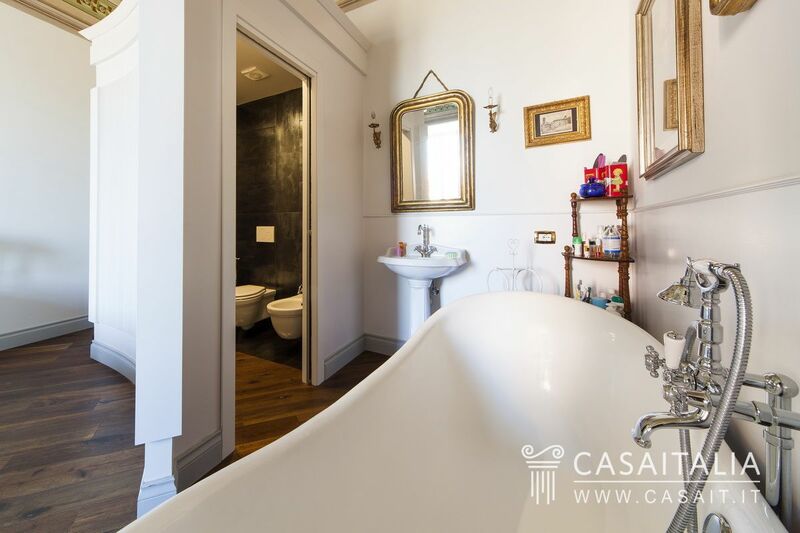 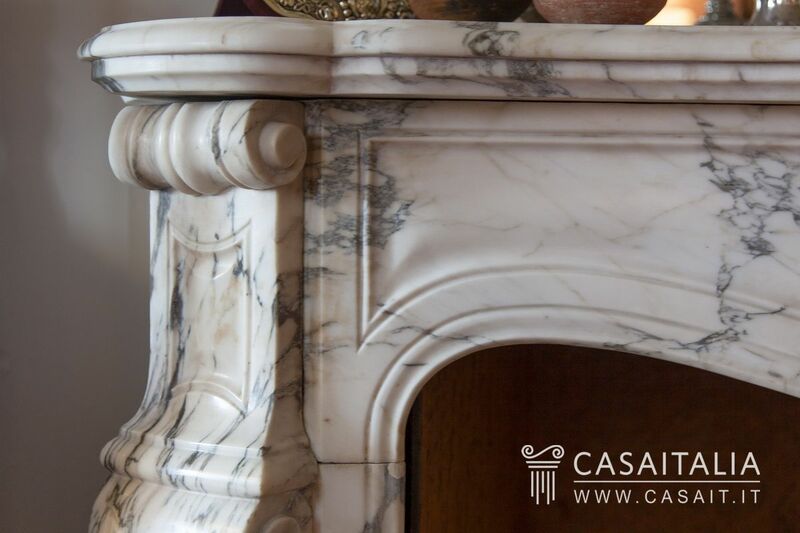 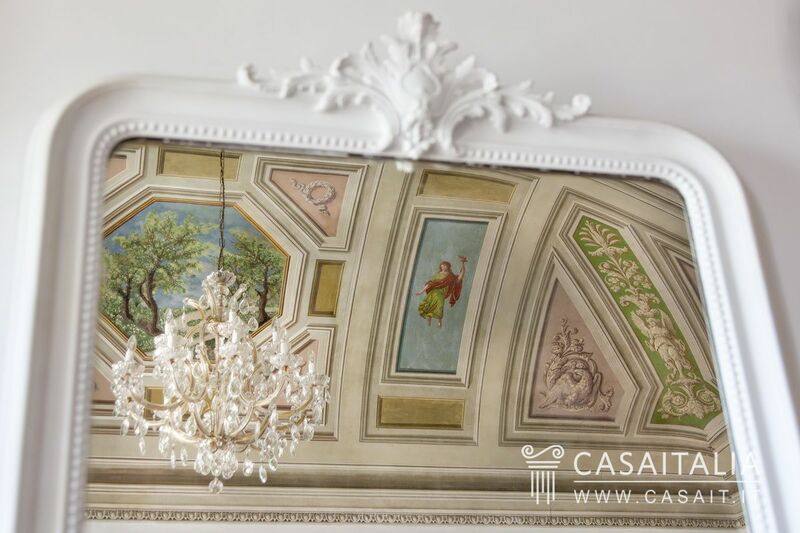 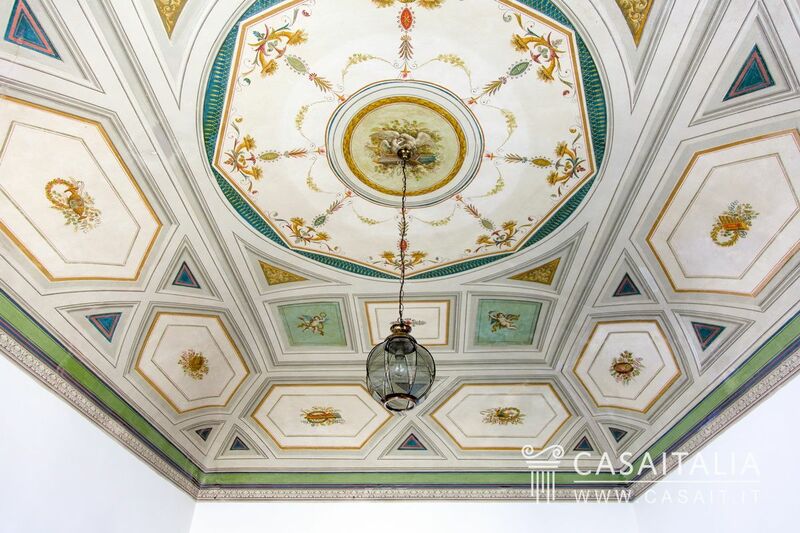 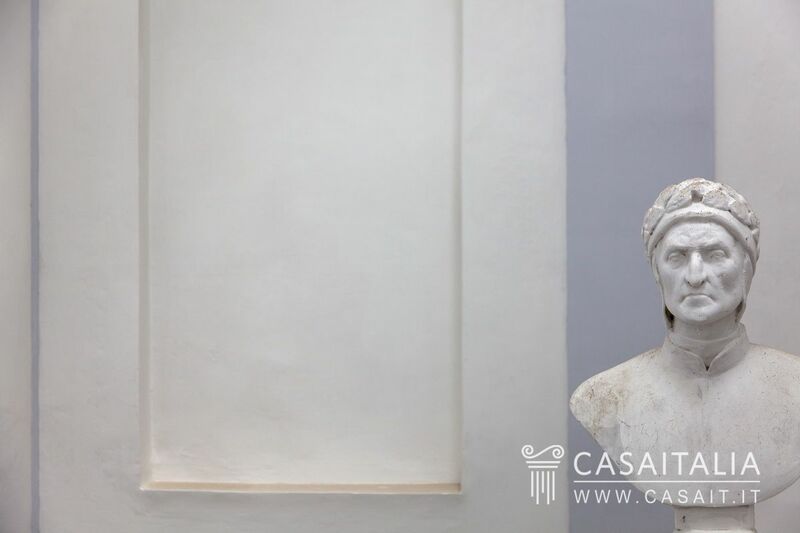 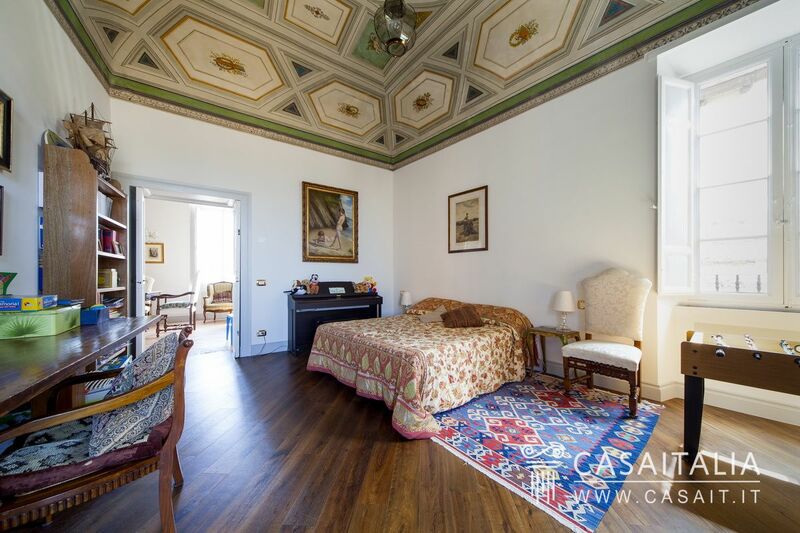 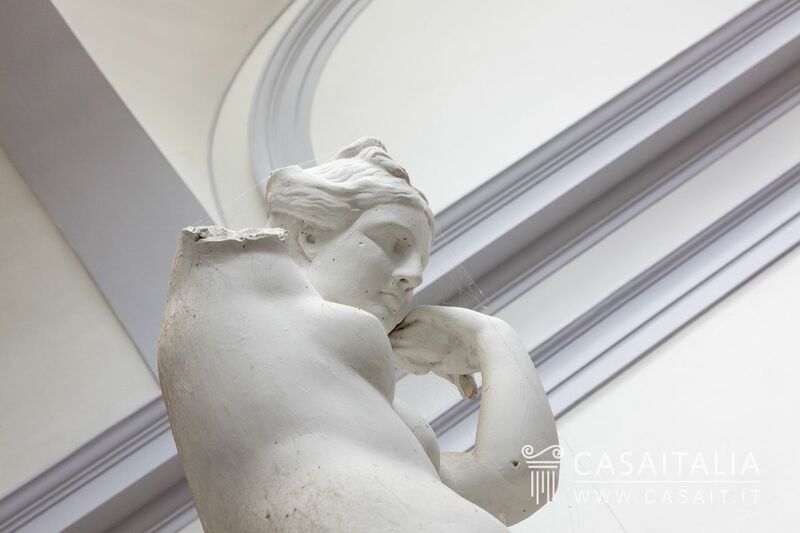 The apartment is in perfect condition: the current owners have completely renovated it, bringing the frescoes and the decor to its former splendour, restoring the tiled floors and the original fixtures and using high-quality materials for the finishings. 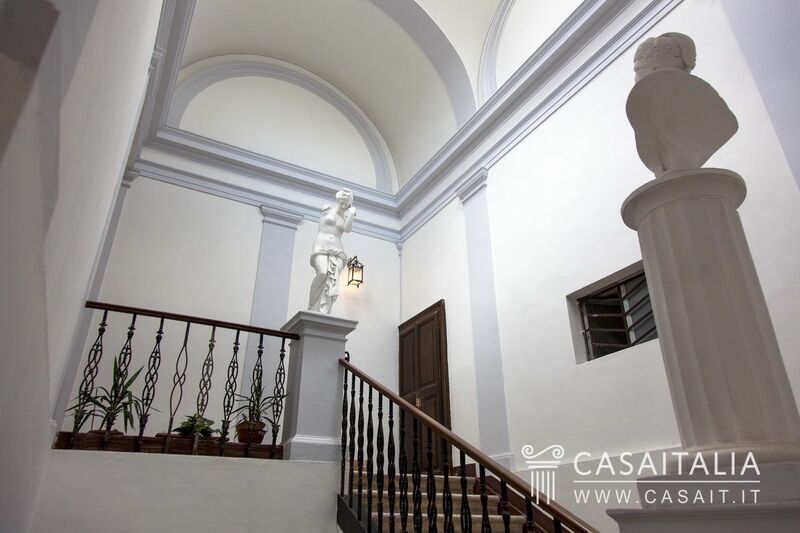 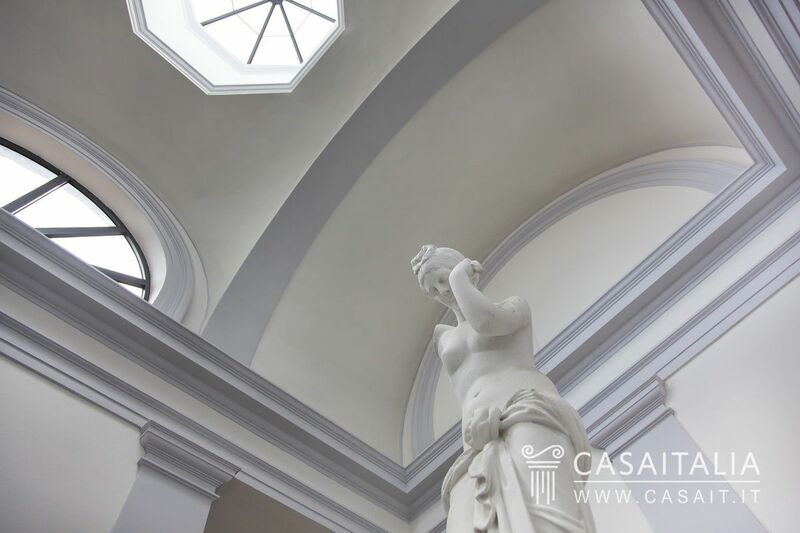 The entrance to the building is elegant, with a large staircase adorned with two spectacular statues and a vaulted ceiling with arched windows and a central cupola which provides light to the space. Finding apartments in the historic centre with outdoor spaces is very difficult, which makes L’Appartamento Nobile a rare and lucky find: it has a loggia measuring around 16 sq.m with a beautiful view of the city rooftops, ideal for outdoor dining. In a convenient location which is easy to get to, just an hour from Rome and only an hour and a half from its airports, the apartment is the ideal solution for those looking for a second home away from the stress of the big city, where you can become reacquainted with the “slow pace” of life you can only experience in a small town. 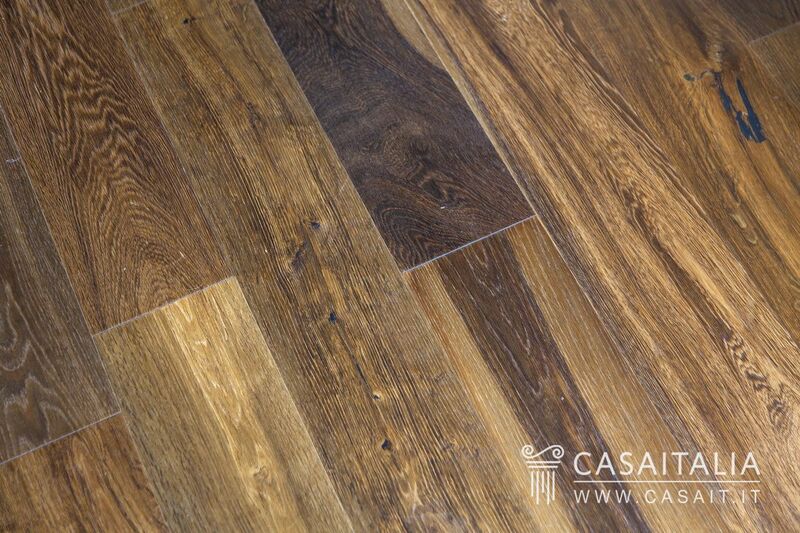 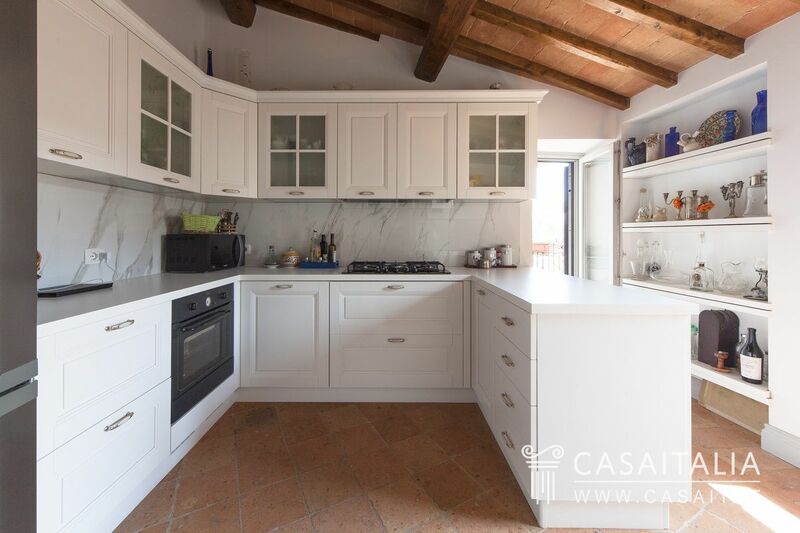 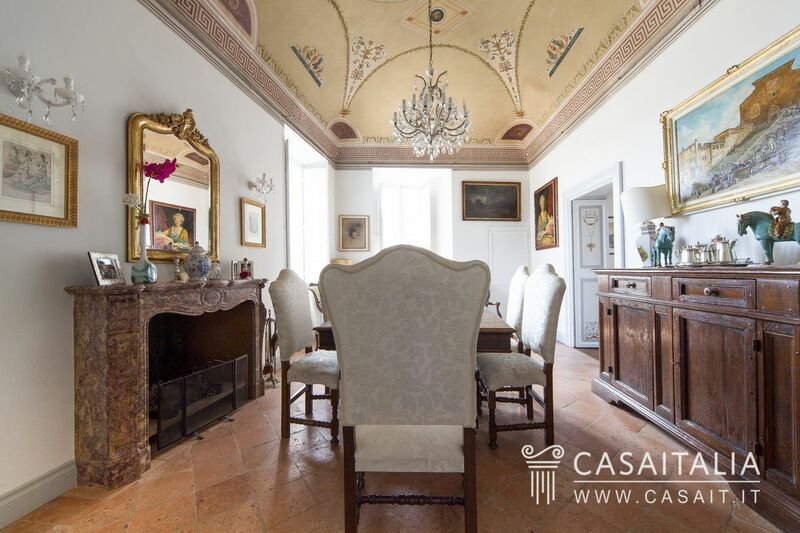 Its proximity to Terni, Orte and Narni also make the property a perfect, impressive main residence. 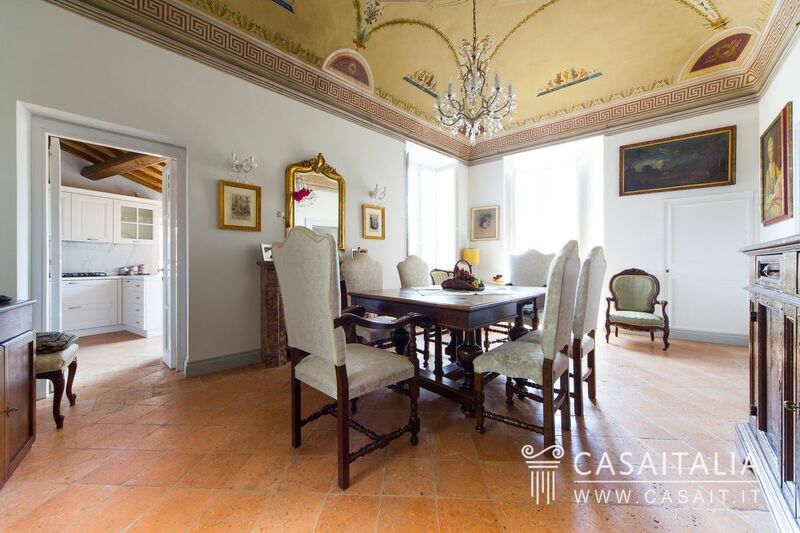 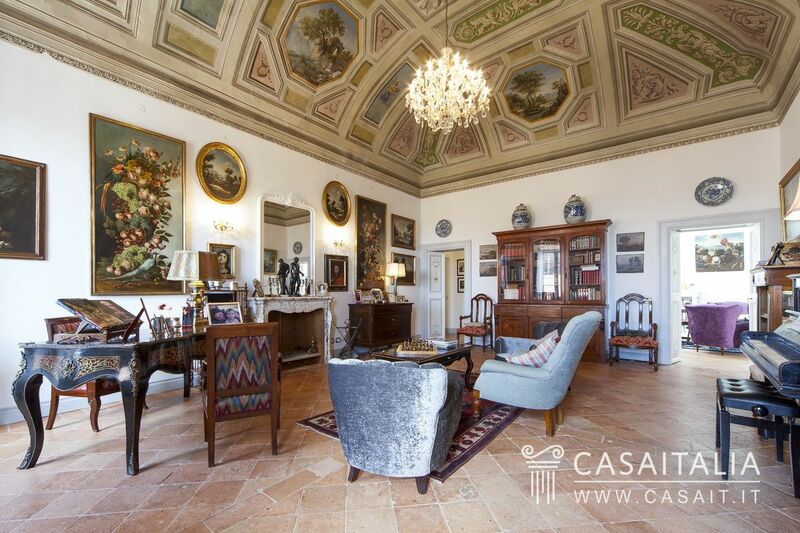 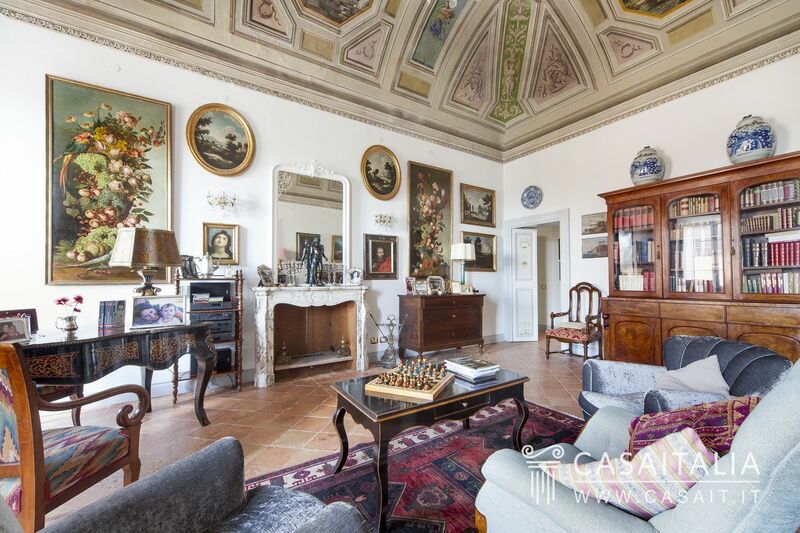 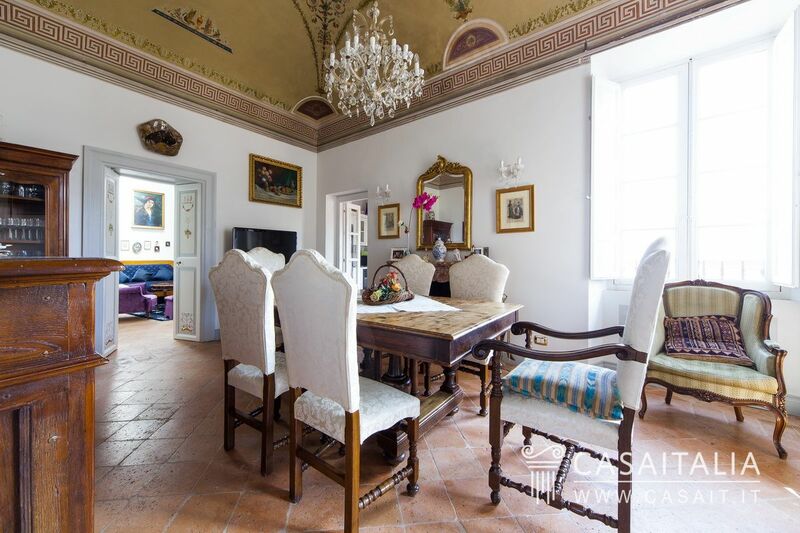 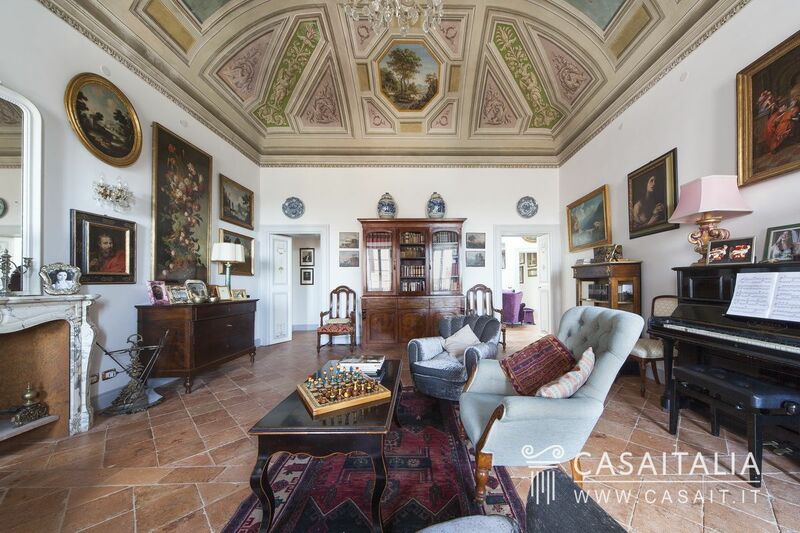 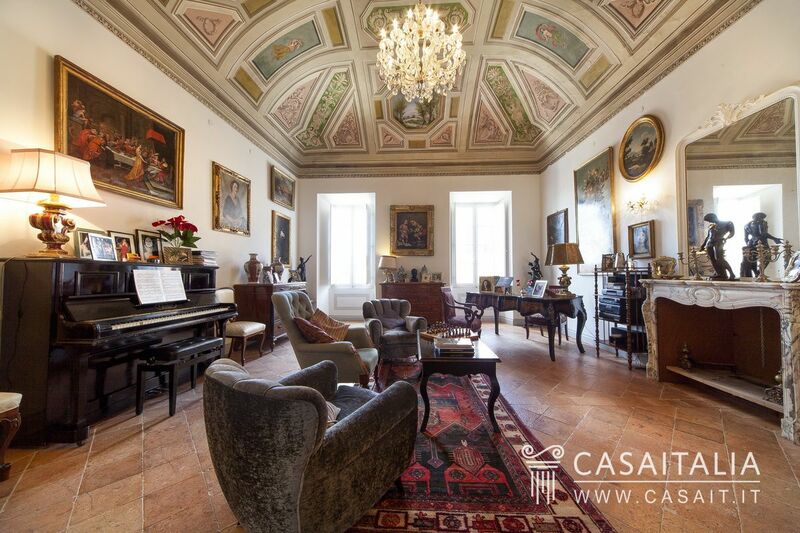 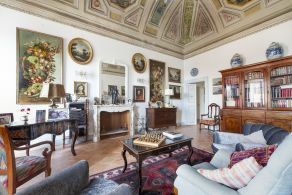 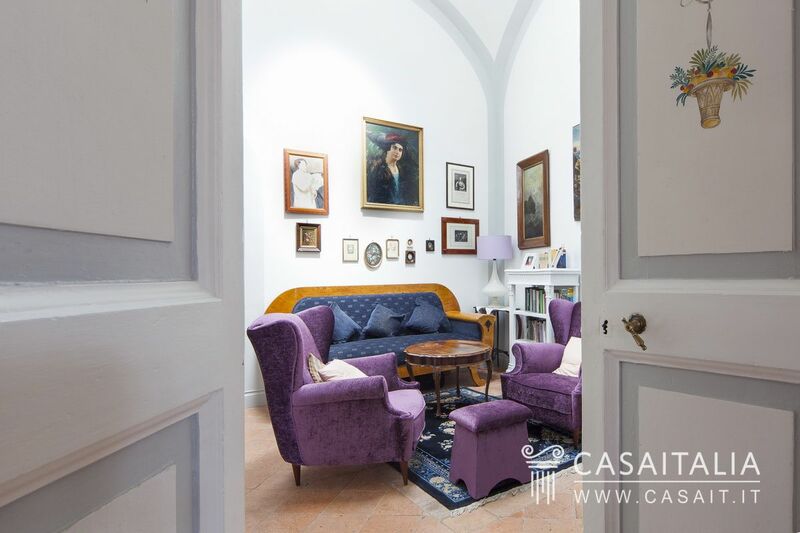 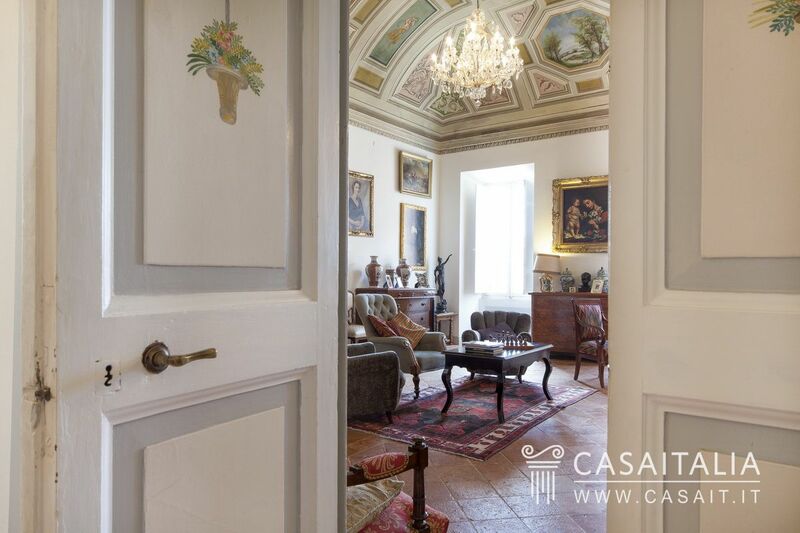 17th century villa with grounds, former hunting lodge of the Doge of Venice.